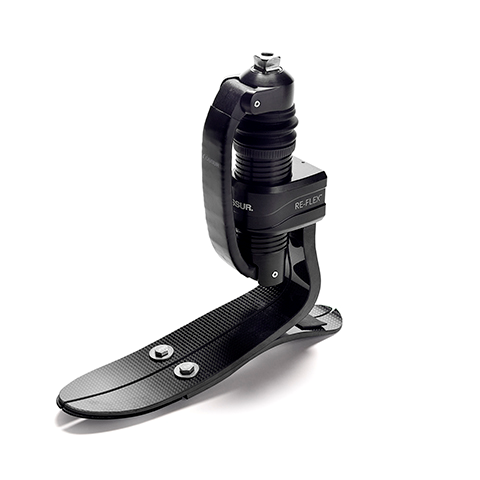 Re-Flex Shock offers the best vertical shock absorption of all the Össur mechanical feet. With dynamic energy return and all around responsiveness the foot is a great choice for active users. The composite spring in front provides optimal shock absorption that reduces impact subjected to the body. Enhancing both control and comfort during walking and other activities.